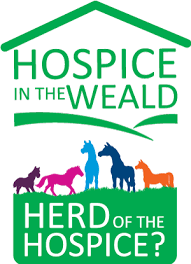 Herd of the Hospice? 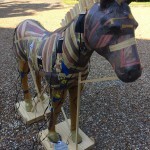 is a major, free, public art installation and the first of its kind in the area. 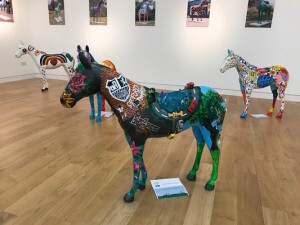 Hospice in the Weald, filled Tonbridge, Tunbridge Wells, Sevenoaks and the surrounding areas with life sized horses designed and decorated by local artists and generously sponsored by local businesses. 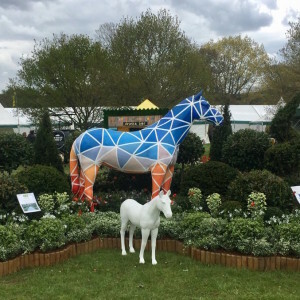 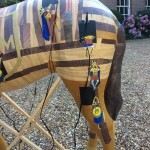 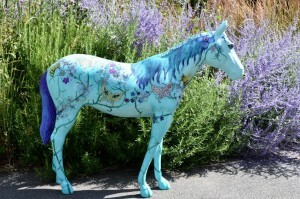 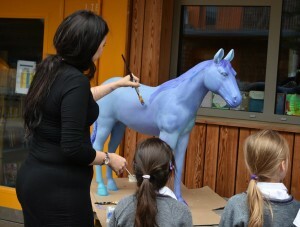 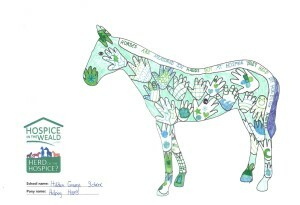 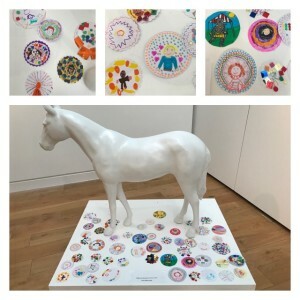 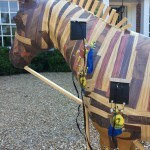 As part of the campaign 30 ponies were also designed and decorated by local schools. 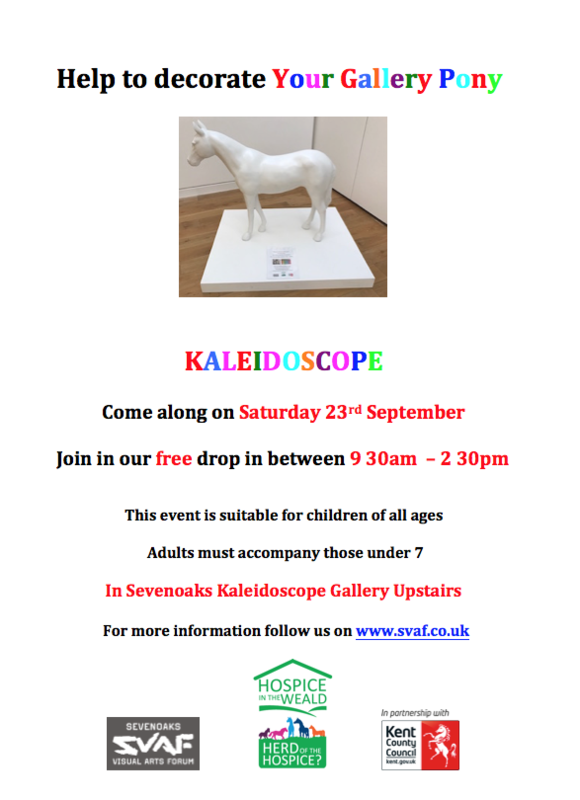 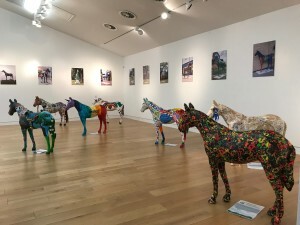 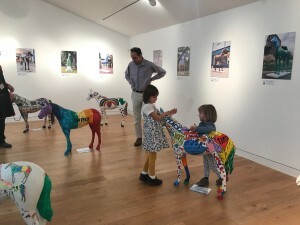 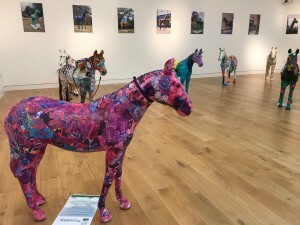 Exhibited at The Sevenoaks Kaleidoscope Gallery from 19th – 30th September all the ponies joined the full Herd at The exhibition in Royal Victoria Place Tunbridge Wells from 2- 13th October. 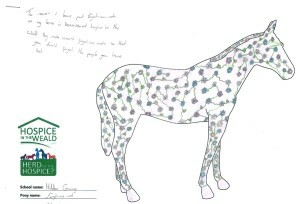 Students of the participating schools have let their imagination run free to create unique designs inspired by young minds. 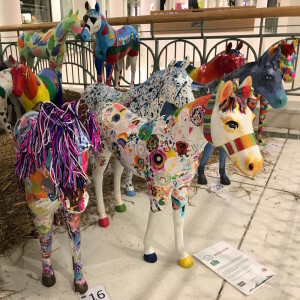 As part of this pony project, schools have been organising fundraising activities to help Hospice in the Weald raise the vital funds they need to continue to support patients with a terminal illness, their families and carers.